Heat shrink terminations are available in single core, 2, 3, 4 core versions suitable for XLPE and PILC cables terminated indoor and outdoor. 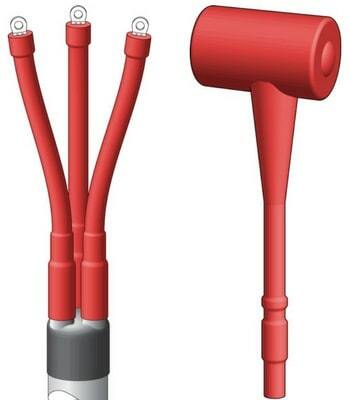 Cable termination kits using heat shrink technology are suitable for indoor and outdoor terminating of 3.3kV cables and have a cable conductor range from 4-630sqmm. ➡ Should you require customer service or technical support please contact us – view the full range of 3.3kV Cable Terminations below.